Congratulations to our CEO Deb, for winning Business Leader in the NSW 2017 Chamber Awards: Regional Finals. The New England North West Regional Business Awards were held at Gunnedah Town Hall on Friday 1 September 2017. Deb is the Director and Principal Physiotherapist at WorkHealth Australia and Rusden Street Physiotherapy and Sports Rehabilitation. Her business motto is ‘Move Better for Life’ and both businesses encourage people to take responsibility and have a greater understanding of their own health. Deb’s success is due to her extensive experience as a physiotherapist and business manager, and her business is focused on the health of the population and workforce of the New England region. Deb will now travel to Sydney to represent the New England North West at the NSW Business Chamber’s State Business Awards in November. Michelle is an Occupational Therapist, graduating from Newcastle University with over 10 years clinical experience working across a variety of settings. Michelle is Armidale born and bred and is passionate about working within her local community. Her practice as an Occupational Therapist is holistic and client focused. Michelle endeavours to work with all her clients to optimise their function and allow them to live their lives as independently as able. She is very excited about being part of the team at Rusden Street Physiotherapy. This is a big step for Rusden St Physio, as we continue to grow, we can offer more services to our Armidale patients so they can live healthier lives. Welcome to the team Michelle! Hi everyone! My name is Andrew Brown and I’m very excited to announce that I have returned to my home town to join the team at Rusden Street Physiotherapy. I have graduated from the University of Queensland with a Masters of Physiotherapy, andundergraduate degree in Sport and Exercise Science. My interests in Physiotherapy include all types of musculoskeletal injuries, sport performance and chronic pain. I believe that a combination of specific manual therapies and exercise prescriptions will assist you in reducing pain, returning to the playing field, or moving better for life. I look forward to meeting you all, and helping you to achieve your goals for 2017. 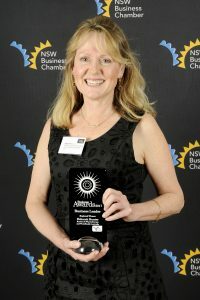 Rusden St Physio and WorkHealth Australia have won the Armidale Business Chamber ‘Excellence in Small Business’ Award. I am very humbled by the support from our patients and clients who nominated us for this award and in the Business Leader New England Enterprising Woman categories, for which we were finalists. Many thanks go to our hard-working physio’s and our wonderful reception staff. And of course our clients, without whom we would not be the team we are today. Everything we work for is to help people move better for life, and winning the awards is recognition that our clients believe in us and believe in what we stand for. Thanks again we hope to do everyone proud as we make our way to the regional awards in Tamworth. 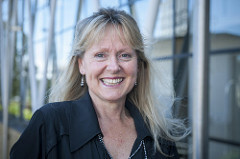 Deb Hunter, CEO, Rusden St Physiotherapy and WorkHealth Australia.